After last week’s revelation by the Rhode Island ACLU that United States Immigration and Customs Enforcement (ICE) would once more be detaining undocumented immigrants at Wyatt Detention Center in Central Falls, Rhode Island, Mayor James Diossa and members of the Central Falls City Council held and emergency meeting to address the issue. 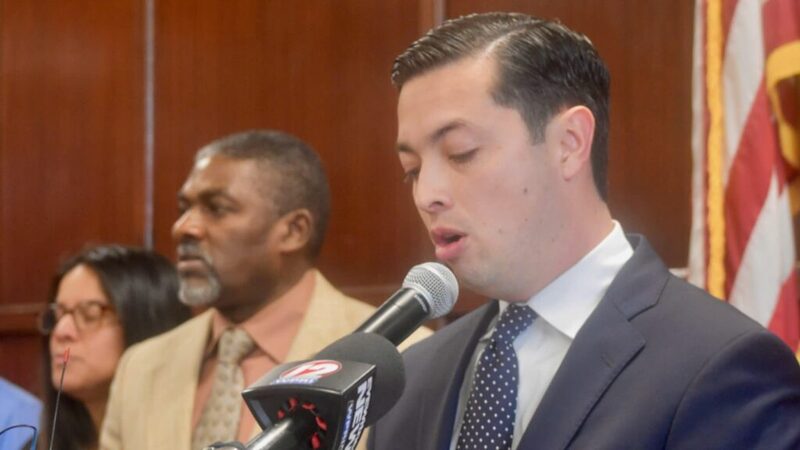 Diossa’s message was blunt: “…it is clear to me that the Wyatt Detention Center, a failed project brought to life during one of the darkest periods in our city’s history, has proven to be a failed corporation. Not only is it unsustainable and broken, it stands as a massive brick and barbed wire monument to out of control capitalism, corporate greed and social injustice. City Council President Maria Rivera (at large) was equally blunt about what she sees as her duty to the undocumented residents of her City. 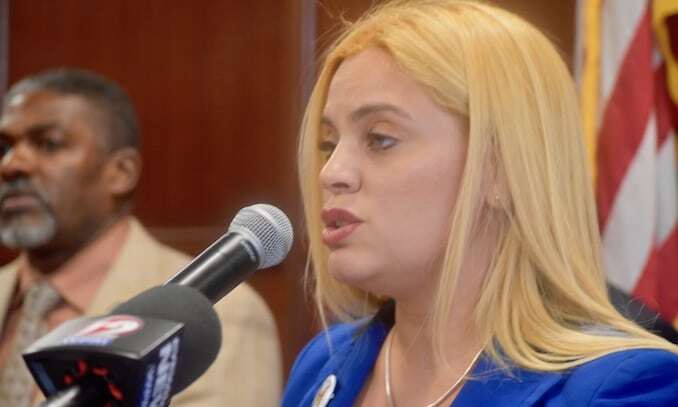 State Representative Shelby Maldonado (Democrat, District 56, Central Falls) has promised General Assembly action on this issue as early as next week, so stay tuned. 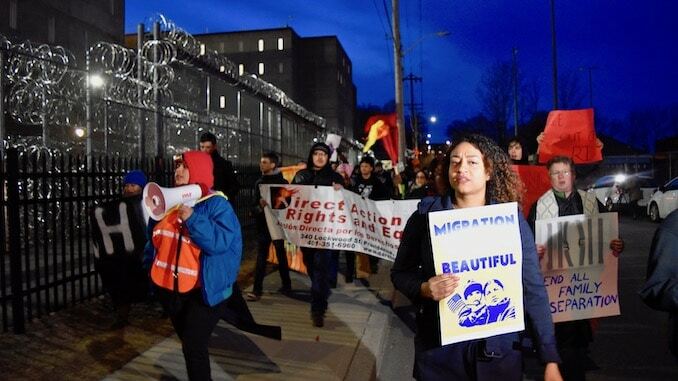 Directly after Mayor Diossa’s “emergency meeting” AMOR (Alliance to Mobilize Our Resistance) organized a march from Central Falls City Hall to Wyatt Detention Center where a protest and noise demonstration lasted until 8:30pm. “Our nation is facing an unprecedented humanitarian crisis along the Southern border, and it is spreading to cities across the nation,” said he United States Conference of Mayors President, Columbia, South Carolina Mayor Steve Benjamin. 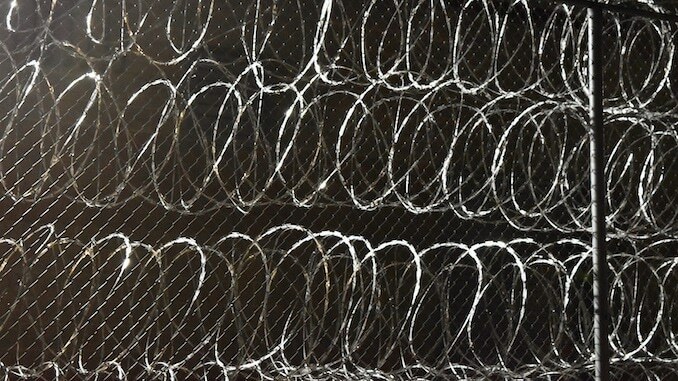 “While the crisis is most serious in El Paso, where federal and local authorities have neither the resources nor the facilities to handle the current influx of asylum seekers and other immigrants, it is being felt as far away as Central Falls, Rhode Island where ICE is sending more than 200 detainees to be housed in a local jail. We stand with El Paso Mayor Dee Margo, Central Falls Mayor James Diossa and the mayors of all of the cities that have been impacted by this crisis and who must respond to it. Detained immigrants’ immediate access to legal, pastoral, health, social and human services, and basic human rights. Providence Mayor Jorge Elorza‘s “community conversations” about leasing the Providence Water Supply to bail put the City’s pension system did not go very well. The last meeting was on the East Side of Providence and when a woman in attendance asked people to raise there hands in order to gauge the “temperature of the room” as regards the plan to lease the water, the vast majority in attendance were opposed to the plan. Maybe five were for the idea, and a smattering of people were undecided. The opposition to the water leasing plan continues to grow. Water Is Life – Land & Water Sovereignty Campaign, a group established to protect water in Rhode Island from corporate despoliation, plans to push through an ordinance – either legislatively or by referendum – that would prevent Providence from selling or leasing the water. 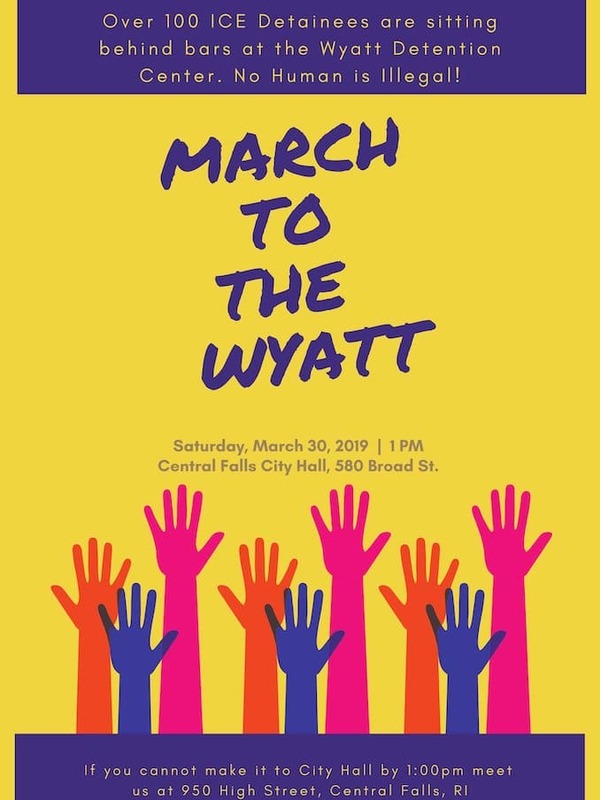 The measure “sends a strong message to private corporations,” said Rianna Eckel, Maryland state organizer for Food & Water Watch, an advocacy group that promoted the ballot initiative. “It prohibits any asset sales or leases of the system,” she added. “It’s not a sure-fire trick to prevent any privatization ever, but it prohibits the most dangerous efforts,” she added. I’ve been neglecting my Invenergy reporting lately because I’ve been so damn busy with so much other stuff. I promise to catch up soon, but I have to present this short clip from Thursday’s cross-examination of Invenergy’s Director of Development John Niland. EFSB Chair Margaret Curran cleared the room so that the board could hear testimony on the information deemed secret by Invenergy. This is how corporations beat us: They claim the rights of persons, and deny persons their rights. Here’s a quick primer on the public’s right to know. And here’s a question: If the information presented during the EFSB hearings to grant or deny a permit to Invenergy for their $1 billion fracked gas and diesel oil burning power plant is somehow thought to be the deciding factor in the case, the public will never know why the power plant was approved or denied. If the information presented in these closed sessions is weighty enough to influence the decision for or against the power plant in even a minor way, the public will never know. Is this the way we want to decide on things in a free and open democracy? Students spoke at the press conference about their research, and the effect doing the research with Young Voices RI has had on their lives. At last Sunday’s Rhode Island Democratic Party (RIDP) State Committee hearing all eyes were on the race for RIDP Chair and Secretary. On Friday, Representative Moira Walsh (Democrat, District 3, Providence) challenged Representative Joseph McNamara (Democrat, District 19, Warwick) for the position of Chair of the Party. Also, Representative Teresa Tanzi (Democrat, District 34, Narragansett, South Kingstown) challenged conservative Representative Arthur Corvese (Democrat, District 55, North Providence) for the position of Secretary of the Party. Neither won their challenge as the vast amount of Democrats in the room went with centrist or conservative candidates. Lauren Niedel has her view of the meeting here. My view? There’s a reason we keep our voting private. Roll call votes are intimidating and serve the interests of those in power, not the interests of voters. Responding to Providence Mayor Jorge Elorza’s call for a “kindness initiative” the Muslim Community in Providence, opened Masjid Al Kareem, the Islamic Center of Rhode Island, to the public to hear from speakers representing various faiths, as well as United States Senator Jack Reed (Democrat, Rhode Island) and United States Representative David Cicilline (Democrat, Rhode Island). Branch was speaking in the Rhode Island State house Library as part of the Rhode Island Religious Coalition for Reproductive Freedom. He was joined by religious leaders and believers from a variety of faiths to support the passage of the Reproductive Health Care Act (RHCA) S0152A and the Reproductive Privacy Act (RPA) H5125A, which would affirm the right to abortion in the state of Rhode Island. The Red Bandana Fund seeks nominations for the Red Bandana Award, given annually since 2013 to a person or organization in the Rhode Island area that embodies the spirit and work of late organizer for peace and justice, Richard Walton. “We’re happy to continue to recognize people in our area doing good hard work to make the world a better place,” board member Bill Harley said. “With the news cycle as fast as it is, and the craziness of our national scene, it’s good to take a step back and honor the people around us trying to make a difference.” The award will be presented on Sunday, June 9, at the 8th annual Red Bandana Celebration at the Fireman’s Memorial Hall in Providence. Last year’s award was presented Henrietta White-Holder, founder and director of Higher Ground International, that serves the West African community in Providence and abroad, and Linda Finn, director of the Rhode Island Coalition Against Gun Violence. The nomination deadline is April 15th. To submit a nomination see here. A new COBRE center at Butler Hospital focused on neuromodulation positions Rhode Island to become on the cutting edge of research involving non-invasive brain stimulation techniques writes Richard Asinof.